The Lincoln Memorial and the 5 Why’s | Build Your Walls! Guard Your Gates! 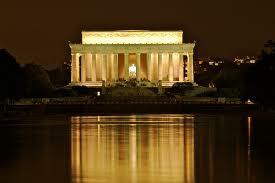 If you ever get a chance to visit Washington D.C., take the time to visit the Lincoln Memorial. Abraham Lincoln was the 16th President of the United States and led the country through the Civil War and the emancipation of the African-American people from slavery. The memorial erected in his honor is over 63 meters wide and over 33 meters high. It has a statue of Lincoln at it’s center that is over 6 meters high and weighs 175,000 kg. Millions of people visit the memorial each year to remember the strong, Christian leader, who preserved the American nation and had the courage to do what was right. “Why?” is a powerful question in problem solving. The “Five Why’s” is a simple root cause analysis technique that involves asking “Why?” until you get to the deepest root of a problem. “Why was the stone deteriorating?” the executives asked. Now, the executives could have solved the problem at this level by canceling the washings, but they realized this would bring complaints from the tourists, who enjoyed the beauty of a clean and shining memorial. It was pretty obvious that if you got rid of the birds, the bird droppings would stop, so the executives sent away the maintenance crew with instructions to put nets up in strategic places. Unfortunately, the nets weren’t very effective, and the tourists complained that they were unsightly. They pointed out what seemed quite obvious to them: “The reason the birds come is to feed on the spiders,” they said. “Spiders? Why are there so many spiders?” asked the executives. Armed with this information, the executives ordered regular treatments of insecticides. But this solution also proved ineffective and created more complaints from the tourists. So, the executives called for the maintenance crew again. The executives could answer their last few questions on their own. This was a problem they weren’t willing to solve. They decided that they needed to call in their subject-matter experts one last time. This, as it turned out, was a brilliant idea! The lights were typically turned on two hours before sunset and turned off two hours after sunrise. By waiting until 30 minutes after sunset to turn them on and turning them off 30 minutes before sunrise, they were able to both save significant money on electricity and also reduce the amount of bugs by 90%. The insects, assuming that the Lincoln Memorial was closed for business, decided to relocate and spent their evenings with George Washington and Thomas Jefferson, whose memorials turned on their lights earlier in the evening. Less bugs meant less spiders. Less spiders meant less birds. Less birds meant less droppings. Less droppings meant less washings. Less washings meant less deterioration of the stone on the outside of the memorial. The executives were happy. The maintenance crew was happy, and most importantly, the tourists were happy. On the downside, Washington and Jefferson still aren’t speaking to Lincoln. Tagged as Abraham Lincoln, d, Five 5 why's, Lincoln Memorial, needs analysis, root cause analysis, Washington D.C.
Beautiful! Could you share a link to the original story? I don’t have a link for the report. I think you would need to get onto an academic site that allows you to search unpublished studies. Sorry about that. Reblogged this on Daily Inspiration.